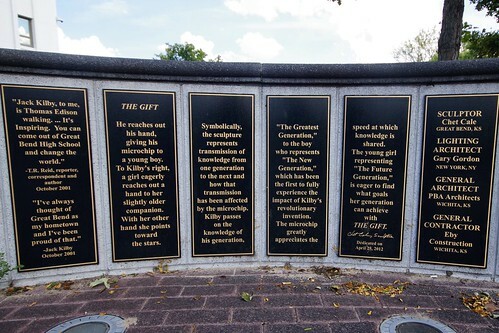 I’m found of this alternative description of “The Gift” : The sculpture makes Kilby look a bit like a comic book archvillain scientist. 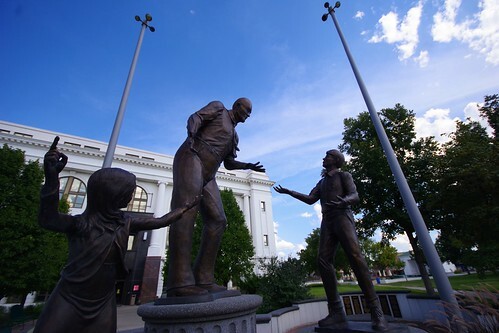 He leans forward, a hulking guy with a bald head, his tie flapping in the Kansas wind. A microchip is barely visible in his meaty left hand, which he extends toward a teenage boy. 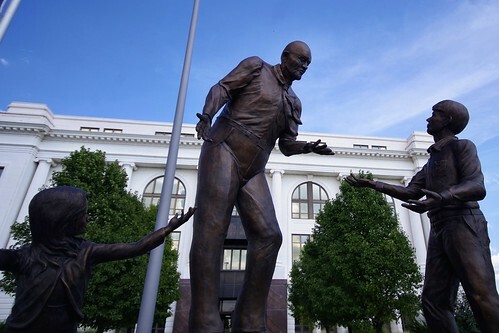 Meanwhile, an impatient-looking girl seems to demand the microchip while pointing skyward, "to the stars," according to the statue's Great Bend sculptor, Chet Cale. Quick, future generations -- grab the microchip before the breeze blows it away!